We had a phone call from a couple in Leytonstone who were expecting their first child and wanted a family-friendly garden. It was a small space, and unusable in its current state. Katrina, senior designer at Earth Designs, suggested the space be turned into a small courtyard. With paving throughout, raised beds for planting would run in an L-shape in the back-left corner. This would also allow for a seat to be included, maximising the potential for enjoying the family-friendly garden. Planting in the garden walls would be full of herbaceous perennials, as well as a specimen tree fern, to give a really lush appeal. On the ground level, directly in front of the main doors would feature some highly translucent planting such as grasses and verbena. 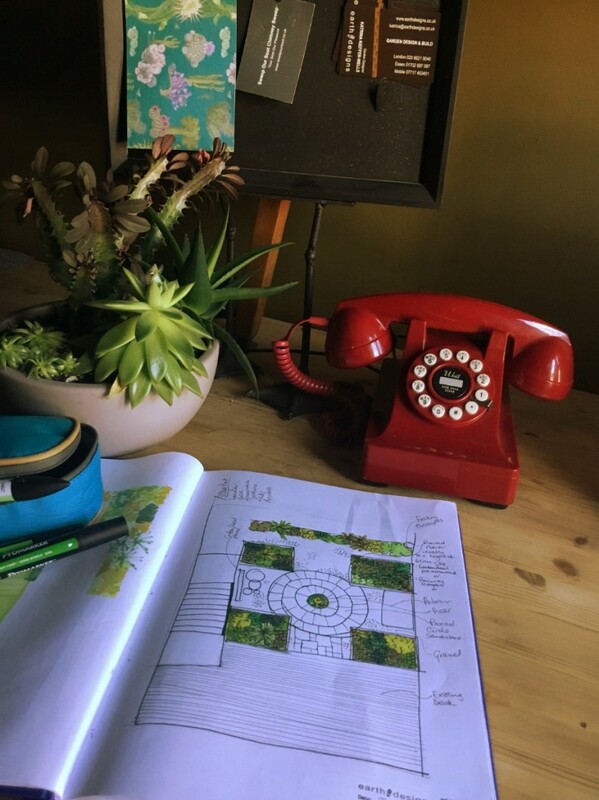 Katrina recommends that whenever you are dealing with a small garden, one of the best things you can focus on is your perimeters as they are the larger surface area. Sometimes it is difficult to create depth as it will take up too much space, and the boundaries need to be good enough to stand alone without being covered by climbing plants or shrubs. Katrina suggested cedar panel fencing that could be attached to the existing fence. Katrina suggested a water blade as they make a great feature for children to play with. Add in a gravel rill and there can be endless, summer fun of paddling and pouring water. 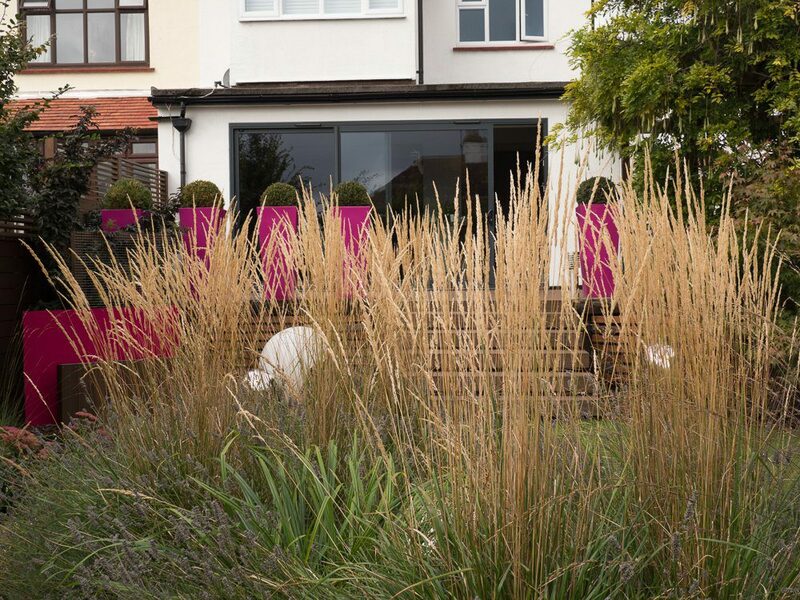 They also create a focal point of movement, which creates added interest when you’re looking out from the house.